Matthew R. Hess obtained an order dismissing a will contest complaint with prejudice last month in a case in which a 78 year old decedent left the entirety of his estate to his 73 year-old live-in girlfriend - whom he had known for more than six decades - instead of his two adult children. He obtained the result in connection with his work for John J. Pembroke & Associates, and the case illustrates the complexities that are posed in administering the estates of blended families, which have become commonplace in today's society. The decedent ("Bill") had been married for almost 50 years, but his wife died in 2003. Throughout Bill's marriage, he and his wife were friends with the Defendant ("Betty"), attending family functions for her and her siblings, including weddings, funerals and family reunions. Betty had similarly been married for many decades, but her husband died in 2000. In 2008, Bill and Betty became more than friends when Bill asked Betty "to be his girl" for the first time at a fiftieth wedding anniversary celebration for Betty's sister. Bill asked Betty to move in with him in 2012, and although she hesitated at first because they were unmarried and she was Catholic, she eventually decided that she did not want to be apart from him. The two were engaged to be married and had set a wedding date in September, 2016. Unfortunately, Bill died in April of that year with Betty by his side. Bill died testate, leaving a will that named Betty as the executor and the sole legatee and expressly disinheriting his two adult children ("Dana" and "Rick"). Bill had also executed a trust in which Betty was the named trustee and successor beneficiary. After the will was admitted to probate, Bill's daughter Dana filed a complaint to contest the will in the probate court located in Cook County, Illinois, arguing that Betty had exerted "undue influence" upon Bill in order to get Bill to execute his will and trust. In her complaint, Dana admitted that Bill had a falling out with his son Rick in 2007, after which Bill gave Rick some personal items and a lump sum of money. Following that dispute, the two of them had no further contact. Dana went on to argue that the will should be disregarded because Bill had only known Betty since 2008 (an incorrect statement of fact) and because Betty had exerted an excessive amount of pressure upon Bill to isolate him from his family and friends. Dana made other scandalous accusations regarding the nature of their relationship, and further argued that Bill was vulnerable to being taken advantage of by virtue of having suffered several mini-strokes and being a hoarder. Dana concluded by arguing that Betty coerce Bill into executing his will and trust based on the fact that she drove him to his attorney's office and that Bill failed to mention the existence of his two children in either his will or trust (even though he did). In dismissing the will contest complaint, the Court found that Dana had failed to allege the basic elements of a claim for undue influence. A plaintiff can establish undue influence in two ways: (1) by introducing proof of specific conduct alleged to constitute undue influence; and (2) by introducing the elements of a breach of fiduciary duty type of undue influence claim, which would then create a rebuttable presumption of undue influence. Here, Dana was attempting to argue that Betty's specific conduct constituted undue influence, but the Court found that the alleged conduct did not rise to the level of being excessive, improper or illegal, or that it was directly connected with the execution of the contested will and designed to deprive Bill of free agency. This case highlights the high burden a litigant faces when trying to overturn a decedent's will. 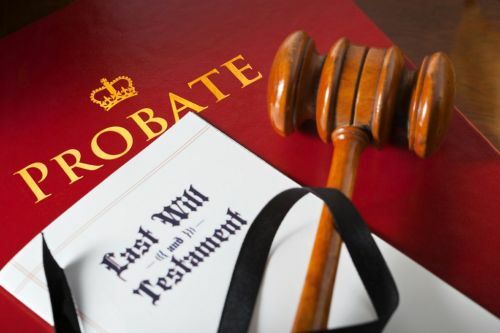 Courts require a significant amount of evidence to be presented in order to set aside the a decedent's wishes as expressed in his last will and testament. If you feel that a loved one may be vulnerable, don't wait until it's too late to act. Contact Matthew Hess today to see what options may be available to you to protect yourself and safeguard your loved one's wishes.